Weekend arrived and it’s time to have a look at the “Billboard Top 100” of this week. ( highest ranking no. 1 ), time to have a deeper look into the background information of this song. 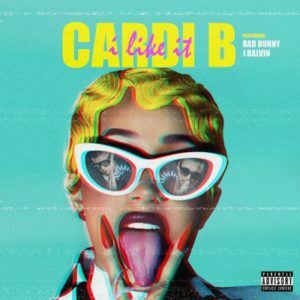 “I Like It” is a song recorded by American rapper Cardi B with Puerto Rican recording artist Bad Bunny and Colombian singer J Balvin for her debut studio album Invasion of Privacy (2018). 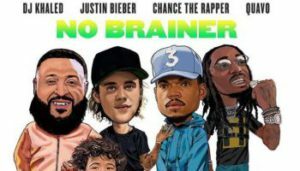 It was released on May 25, 2018 to radio stations through Atlantic Records as the fourth single from the album. “I Like It” was written by the three performers with Jordan Thorpe and Klenord Raphael, and produced by J. White, Tainy, Craig Kallman and Invincible. The Latin trap song comprises a trap-salsa beat, and contains a sample from “I Like It Like That”, written by Tony Pabón and Manny Rodriguez, and performed by Pete Rodriguez, with Benny Bonnilla on the timbales. Commercially, the single has topped the US Billboard Hot 100, becoming Cardi B’s second number one, the most for a female rapper in the chart’s history, and the first for both Bad Bunny and J Balvin. It also reached the top 10 in Canada, New Zealand, Portugal, Slovakia, Spain, Switzerland, and the United Kingdom. 6ix9ine Featuring Nicki Minaj & Murda Beatz – “FEFE”, no. 4 last week, ranks at no. 3 this week. The no. 3 of last week, Maroon 5 Featuring Cardi B – “Gils Like You” went down to no. 4 this week. HIGHEST RANKING DEBUT OF THE WEEK. In the meantime it’s 5am CEST and a beautiful sunrise begins with fantastic red colors in the sky. I’d like to send the bonus track of today to the universe to say “Thank You!” for this new morning.